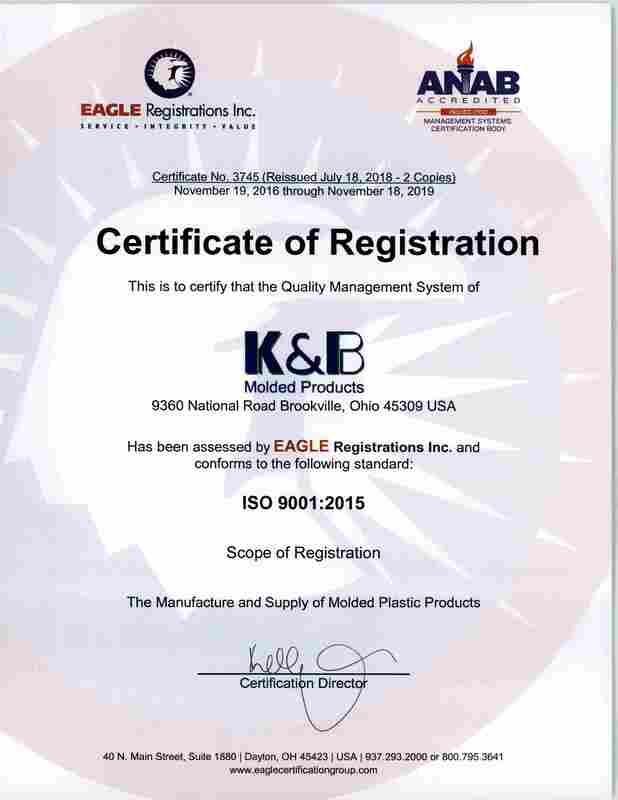 K&B Molded Products offers resources for engineers, procurement personnel, and any professional looking for information about the injection molding process. 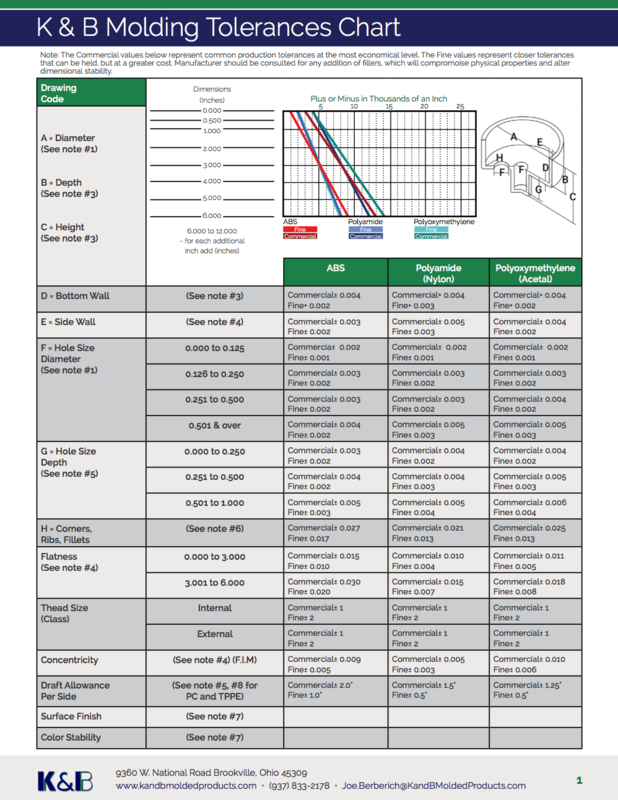 Since tolerances ultimately impact your mold’s capabilities and production cost, K&B has developed a Molding Tolerances Chart that breaks down tolerances by six commonly used molding materials. Each of the injection molding materials includes tolerances for both Fine and Commercial classes, depending on your specific project. 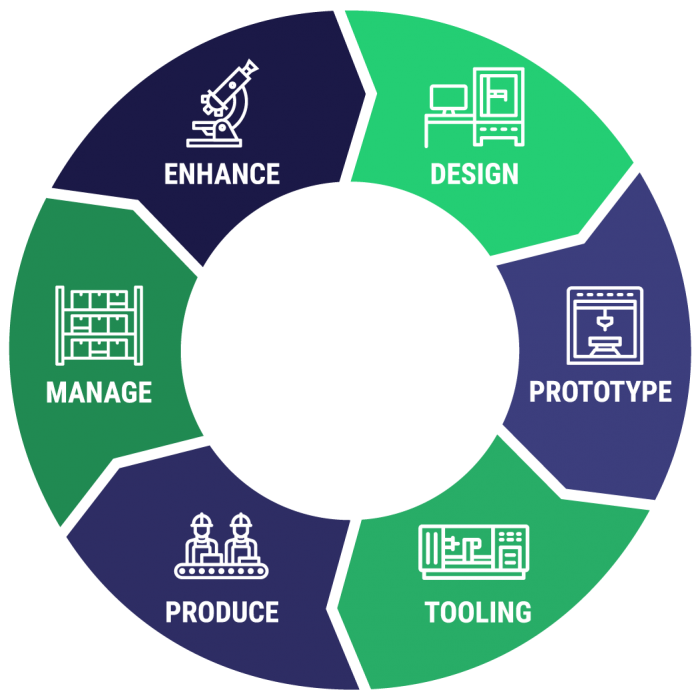 Are you looking for a partner to help you manage your manufacturing process from the design to the inspection phase? Turnkey manufacturing is a system where a single provides complete manufacturing and supply chain services. The turnkey model allows companies to reduce their risk, keep overhead low and move quickly to meet market demands. 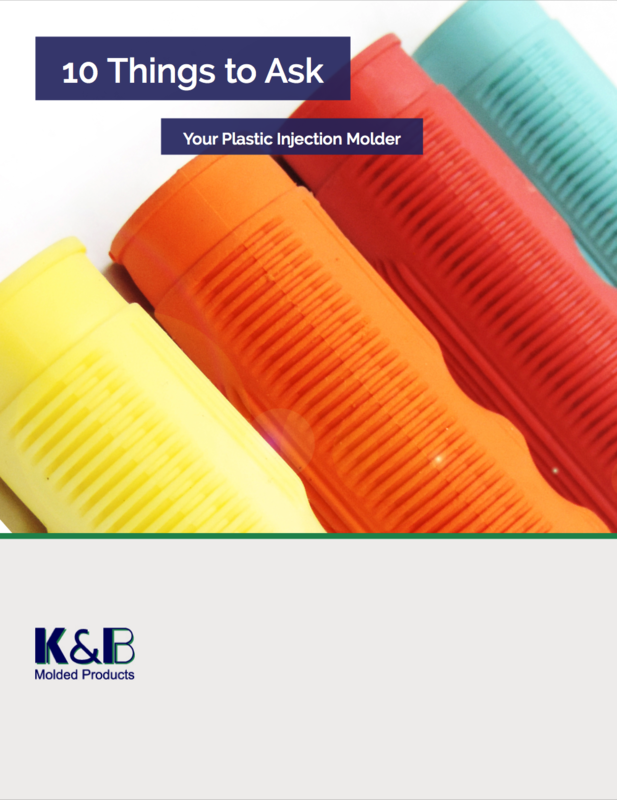 There are a number of things manufacturers must consider before selecting the proper plastic injection molder. 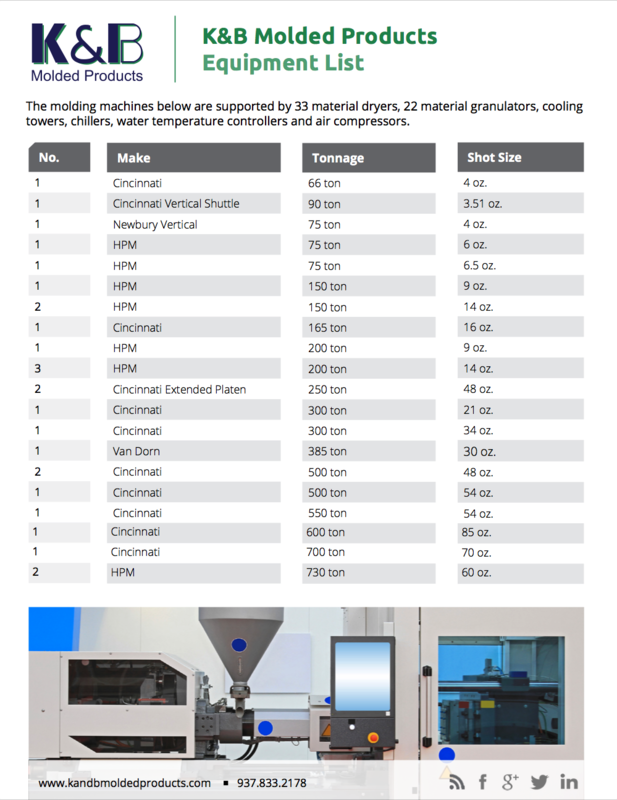 We’ve compiled a list of questions and answers to help ensure that you choose the best injection molder for your application. 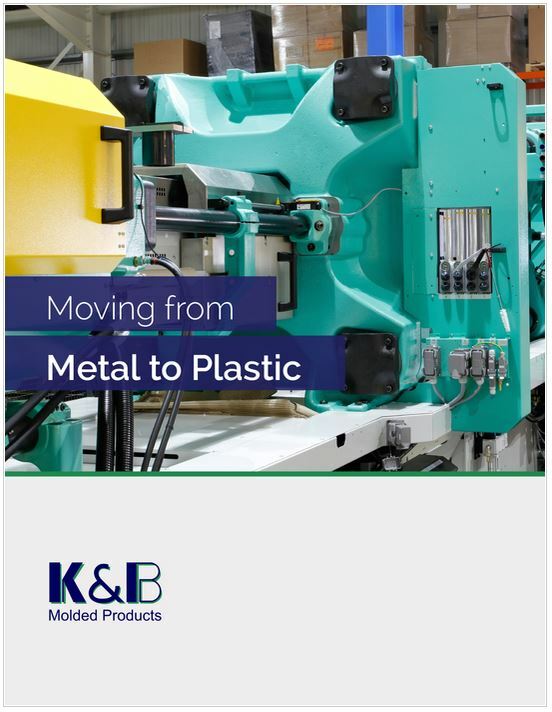 Today’s leading plastics manufacturers leverage technology to create superior injection molded alternatives to conventionally machined metal parts. Plastic parts can be formed to the same tight tolerances and strengths as metal, and their material and light weight reduces total manufacturing costs. 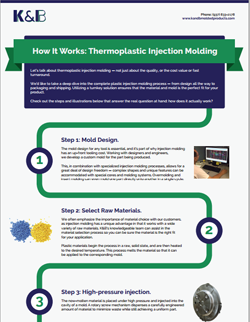 Parameters and timing are critical factors in the injection molding process. 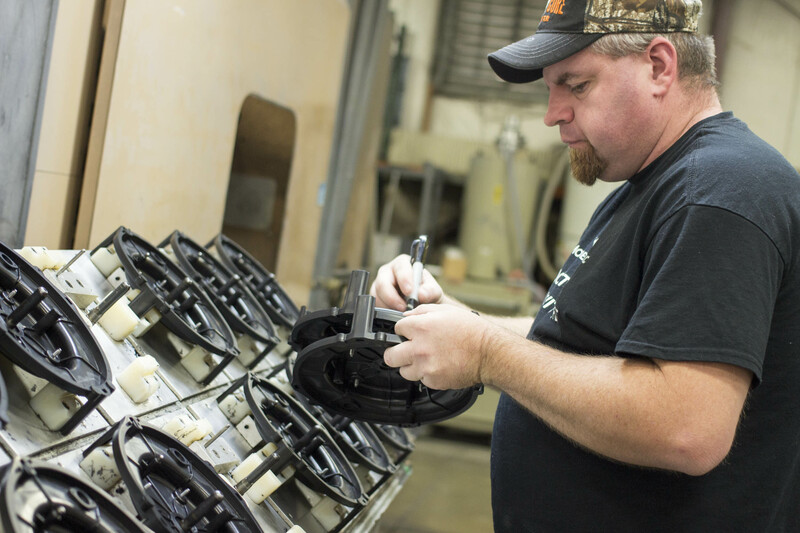 Partnering with an experienced injection molding company can ensure this process is completed at the lowest cost and highest quality. 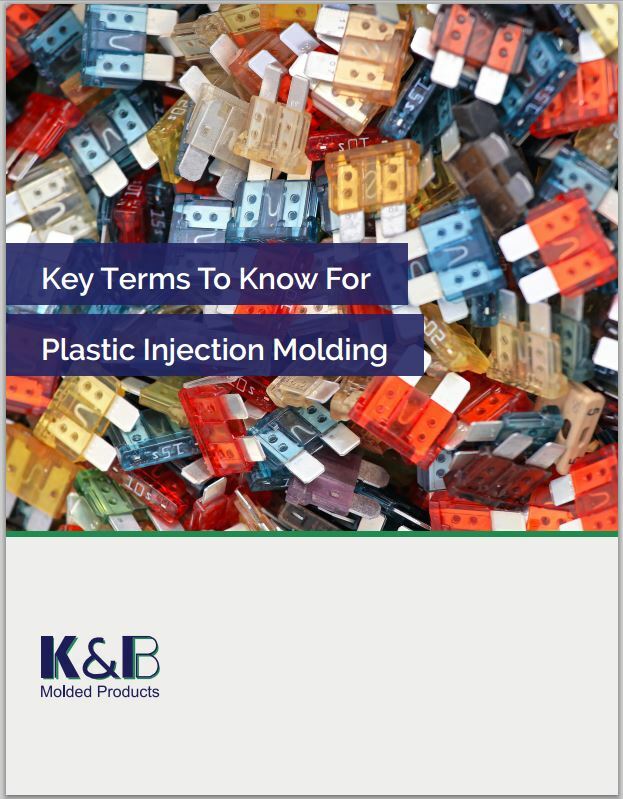 But understanding the basics of the injection molding process can enhance communication so you can be sure the project runs as smoothly as possible. The injection molding process is complex, and molds must be designed to properly form and release quality products on a consistent basis. 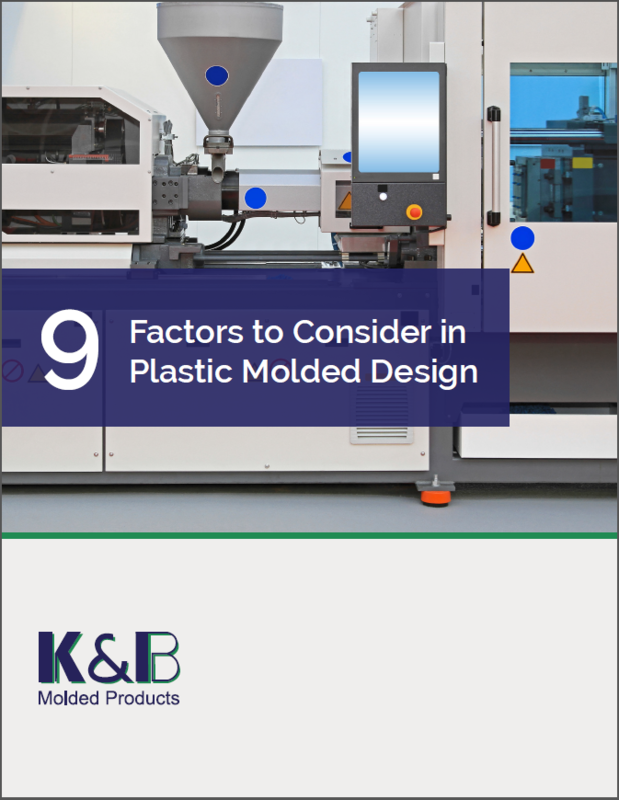 Before you send your design to a trusted manufacturer of injection molded parts, it is helpful to understand the criteria that play a role in the part’s design. 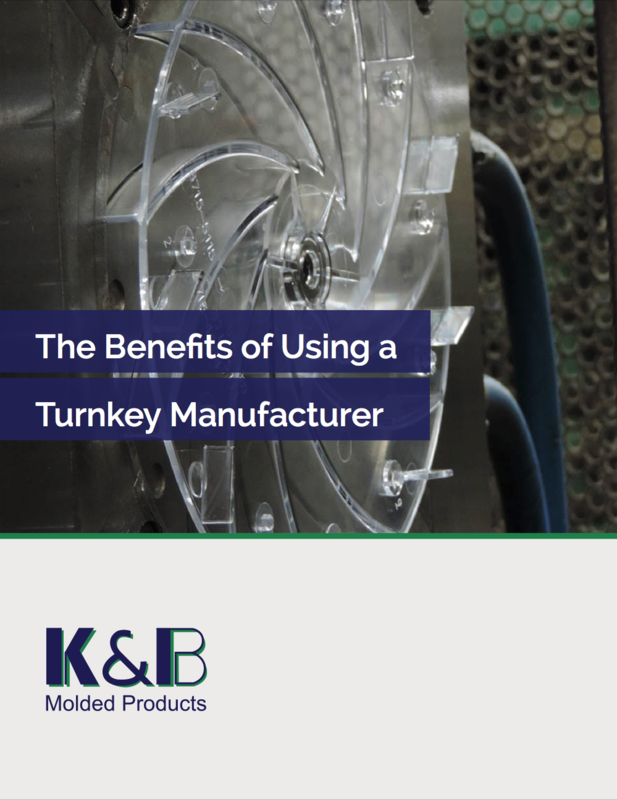 Turnkey manufacturers simplify the injection molding process by eliminating extra steps and providing assistance in design and material selection. To get the best value for your dollar — and the highest quality product — it’s critical to involve your injection molder as early in the project as possible. Our 26 presses and other state-of-the-art equipment ensure that we have the capability to not only complete the job but complete it with the highest level of quality for your project. With core capabilities in injection molding, hot stamping, heat transfer and sonic welding, we offer solutions from start to finish.